How quickly can you combine pictures and letters to create words? Test your wits and vocabulary with Pictowords! Each level offers fun pictures which you must blend with other pictures and letters to make words. Solve them all to earn bonus points! 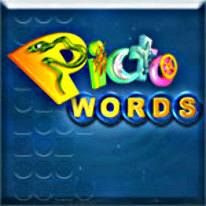 Pictowords is a fun new twist on classic word games.